Chris Samnee: I made a Thing! I posted these to my Twitter earlier, but thought I'd stick them up here too. Way back when I used to have this thing called "free time" I would sculpt from time to time. Here are a few I found when cleaning out my old studio space. Holy crap, you're a talented SOB! 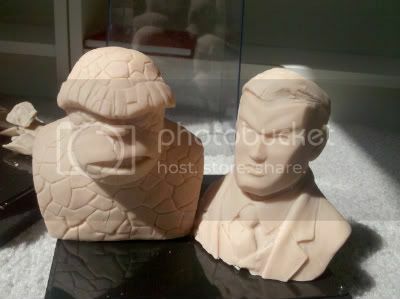 That Thing bust is as good, if not better, than most of the premium busts that Bowen Designs, etc. sell for top dollar. You're quite the Renaissance Man! Fantastic work here my friend! Love yer style man! totally, completely amazing. you are truly an inspiration sir! Seen a few guys on their blogs using such things for lighting ref. 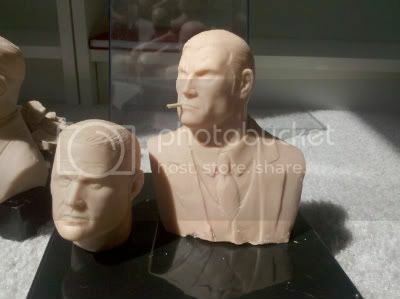 Excellent work, sir--particularly the Crocker bust, which is several kinds of awesome. As stated in abundance, these are magnificent. Paul Crocker! You are amazing!